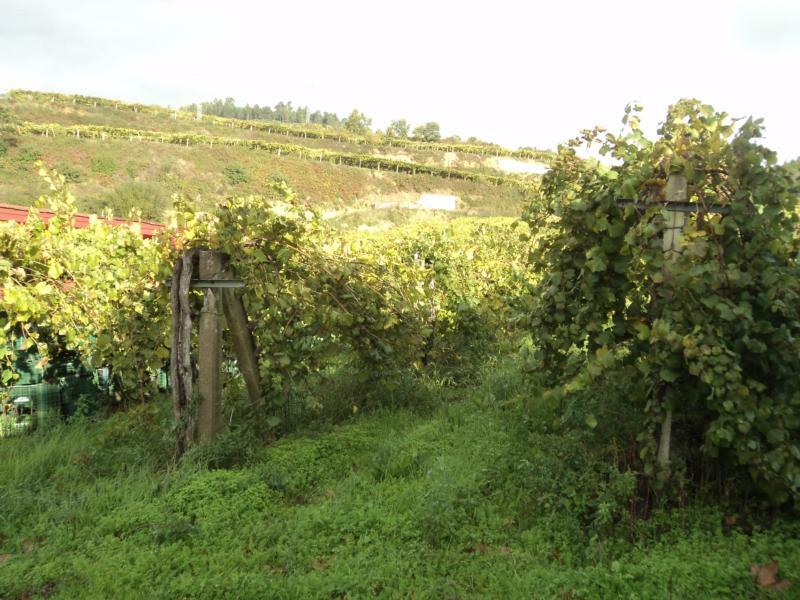 The high quality and extreme scarcity of Galicia's legendary Albariño assured its perennial position as Spain's (and one of Europe's) most expensive wine grapes. The high cost tempted many to stretch production through overproduction and blending, a move that often resulted in frequent disappointment on the part of the adventurous taster. Authentic examples were produced in tiny, unstable lots that never made it outside the region. In 1988 the D.O. Rías Baixas was established as part of an ongoing movement to recuperate and assure authenticity. Refocusing attention on a superior microclimate and fuller style, Morgadío – translating to "only son" in Gallego – set new standards upon its release. In 1984 a farm named Morgadío in in the Rías Baixas subdistrict of Condado do Tea near the aldea of Albeos was consolidated from multiple existing owners, and planting began. Vineyard area was gradually expanded to its current 148 acres. Within Rías Baixas there are three subdistricts: El Rosal and Val do Salnes on Galicia's rainy Atlantic coast, and Condado do Tea inland on the north bank of the Mino River, a situation remarkably reminiscent of Germany's Rheingau. Condado's benign climate, southern exposure and soil of brilliantly reflective granite sand serve to maximize the Albariño's concentration. Adequate winemaking equipment is just as important as the Albariño grape to the production of world-class white wine. Just in time for the 1988 harvest, Morgadío finished a state-of-the-art gravity-flow facility at the bottom of the vineyard amphitheater that includes pneumatic presses and isothermic stainless steel tanks. From the 1996 vintage, the Méndez family of Orense has increased investment in the bodega for maximization of the estate's production, with a current capacity for annual production of 100% estate-bottled Albariño of 10,000 cases.